Sweet Deal on Paw Patrol Marshall's Fire Fightin' Truck! 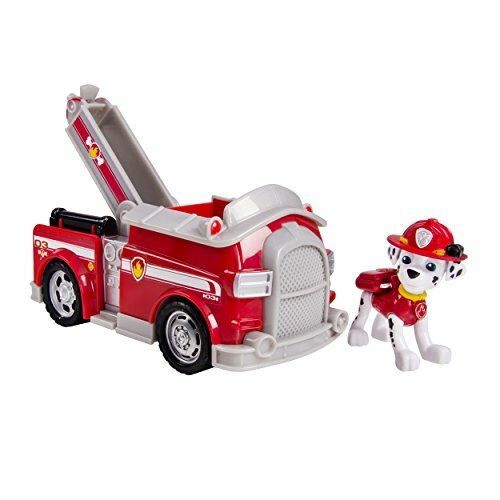 Sweet Deal on Paw Patrol Marshall’s Fire Fightin’ Truck! It's Marshall to the ruff-ruff rescue in his Fire Fightin' Firetruck with real working wheels! Marshall's firetruck features a ladder that he can climb to help the people of Adventure Bay! Paw Patrol Marshall's Fire Fightin' Truck comes to the rescue of Paw Patrol fans ages 3+.